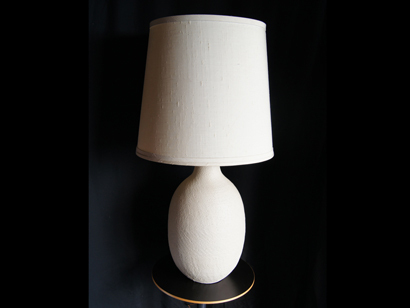 This table lamp was designed by Marcello Fantoni and manufactured by Raymor. 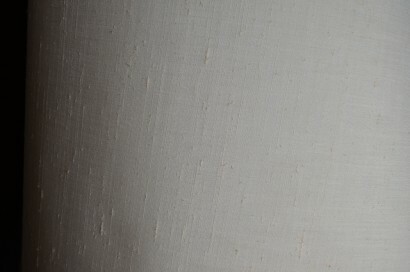 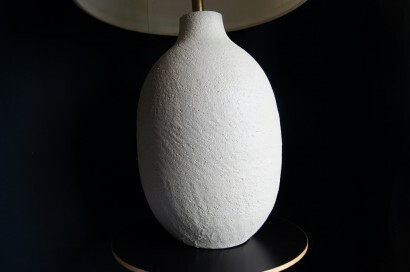 It features a textured, off-white ceramic base and a linen shade. 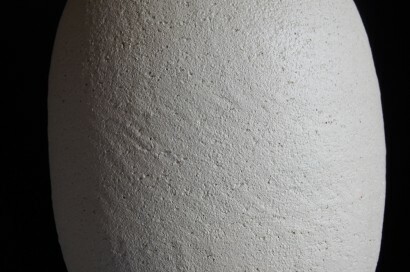 The base measures 12″ dia. 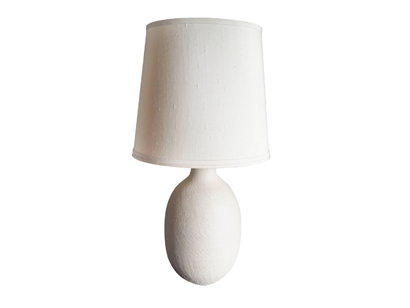 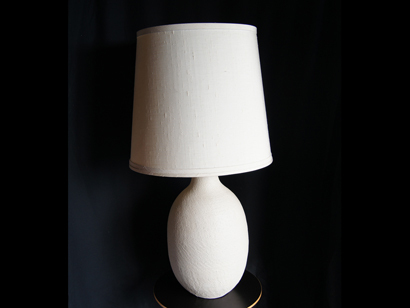 x 19.5″ H, and the lamp is 39.25″ tall with shade.